Starbreeze Publishing, an independent creator, publisher and distributor of high quality entertainment products today announced they are releasing Somnium Games upcoming title Inked under its Publishing label “IndieLabs” on Steam, April 26th. 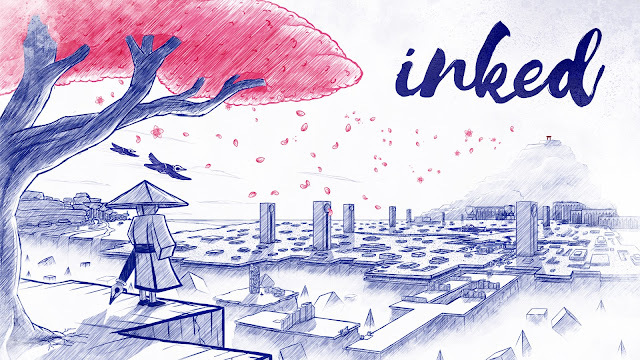 Developed by the Croatian studio Somnium Games, Inked is a puzzle-platformer where you play as the Nameless Hero, a Ronin character drawn by a comic book artist, Adam. Inked is a tale of love and vengeance and holds a unique visual art style as it’s illustrated on paper and viewed through the eyes of Adam. By using simple geometrical shapes, you’ll solve puzzles and venture through Adam’s world to find Nameless Hero’s love Aiko, embarking on a journey that’ll forever change both of them. Inked has been in development for over two years and was picked up by Starbreeze as it promised a unique visual art style, engaging puzzles and compelling story where you get to experience and battle deeper subjects of life.